Eclipse Awards are named after the great 18th-century racehorse and foundation sire Eclipse, who began racing at age five and was undefeated in 18 starts, including eight walkovers. Eclipse sired the winners of 344 races, including three Epsom Derbies. 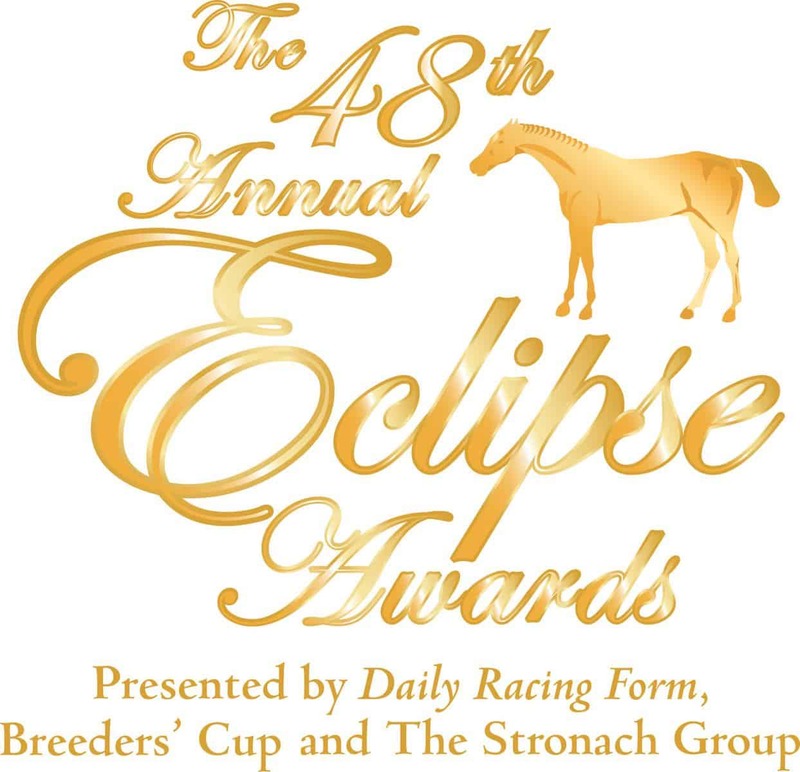 The Eclipse Awards are bestowed upon horses and individuals whose outstanding achievements in North America have earned them the title of Champion in their respective categories. Those awards are voted by NTRA, represented the North American racing officials and Equibase field personnel, Daily Racing Form and the National Turf Writers and Broadcasters (NTWAB). Eclipse Awards also are given to recognize members of the media for outstanding coverage of Thoroughbred racing. Officials Partners of the Eclipse Awards include The Stronach Group, Breeders’ Cup, Daily Racing Form, Keeneland, Florida HBPA, Kentucky Thoroughbred Association, Red Brand, Roberts Communications, The Jockey Club, Dean Dorton, WinStar Farm, EquiLottery Win Place Show, IOA Insurance, Florida Thoroughbred Breeders and Owners Association, Hagyard, Hallway Feeds, Thoroughbred Owners and Breeders Association, New York Racing Association, Jackson Family Wines, Tito’s Handmade Vodka and Indiano Tequila.